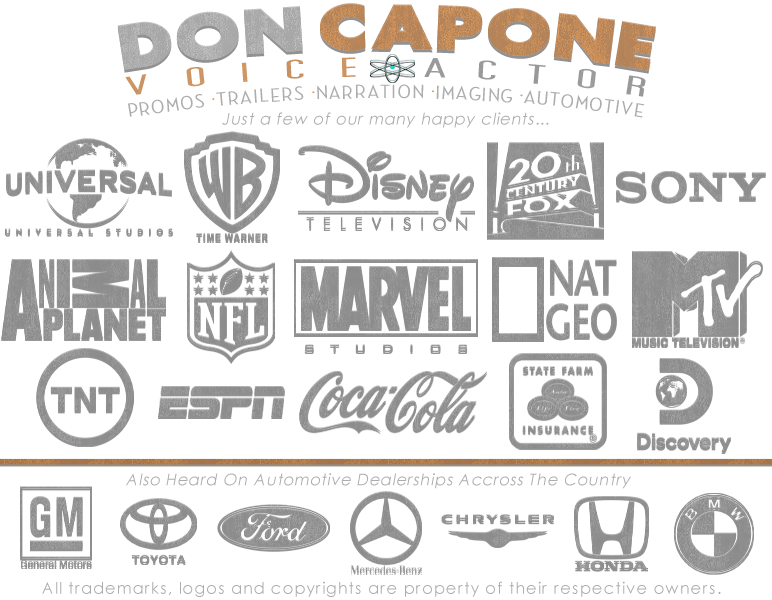 Voice Over Talent Don Capone Voice Talent and Voice Over Artist. We are a professional Voice Over Talent... From Movie Trailer Voice Overs to Commercial Voice Overs for Radio and TV... to Network Promos, Station Imaging, ADR Voice Dubbing, TV Show and Documentary Narrator. We can also do character voices for video games and animation cartoon voice overs. Remember finding the right voice over talent that will get your message out is one of the most important things to do. With a state of the art recording studio our voice will cut-thru to get your message out. We offer dry voice overs or fully produced audio commercials with royalty free music and sound fx to lay into your tv video production or radio spot. Your finished voice over in .mp3, .wav or .aif can be delivered by Email, FTP or a direct download link to your file. Live studio sessions are available at extra cost through the preferred Source Connect or ISDN. Phone patch for directing and listening in recording session are an available extra premium. 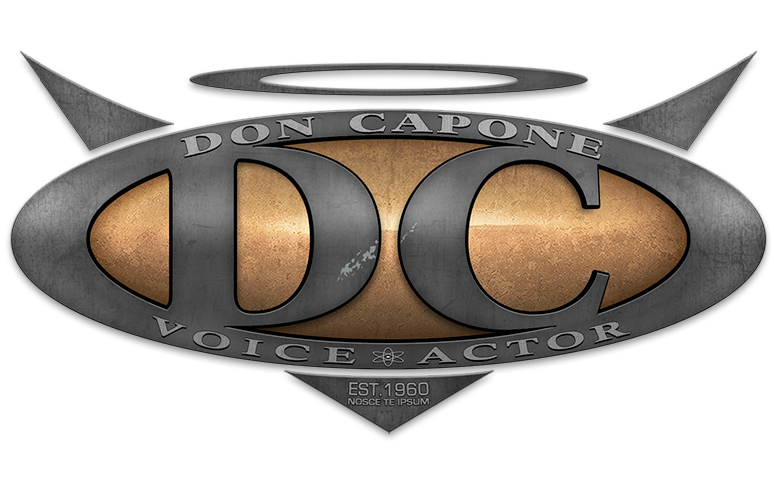 Voice Over Talent, Don Capone Voice Talent and Voice Over Artist. Contact us today to get your production on track with a professional voice over talent.